We’ve all been there: We popped vegetables in the oven to roast, but then they took too long and then... dinner couldn't wait. They’re still worth saving, of course -- but sometimes figuring out how to use them can be a little overwhelming. LE BEC FIN suggests a riff on baked eggs, instructing: “In ramekins or muffins tins, put a layer of mashed sweet potatoes, top with cooked bacon, then grated sharp cheddar, and, finally, an egg. Bake as you would baked eggs." Drbabs votes for making sweet potato bread or muffins. Carlito suggests adding the mashed potato into a bowl of oatmeal. Lindsay-Jean Hard offers a recipe for using them in scones. 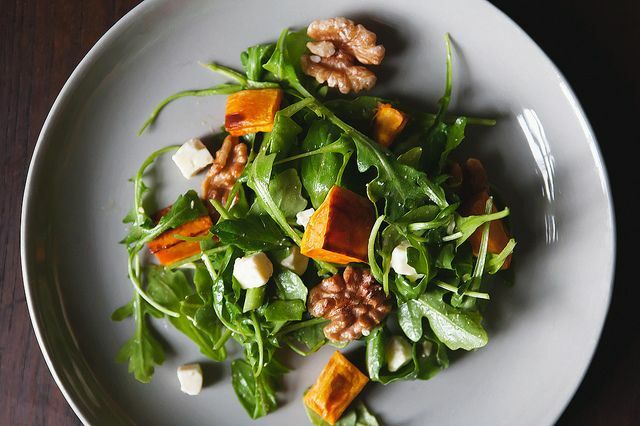 Nancy suggests using the leftover sweet potatoes on a salad. Anne7hall agrees and thinks that a soft-boiled egg would be a great addition. Fritters and croquettes are popular solutions -- Pegeen, dinner at ten, and ADM are all fans. 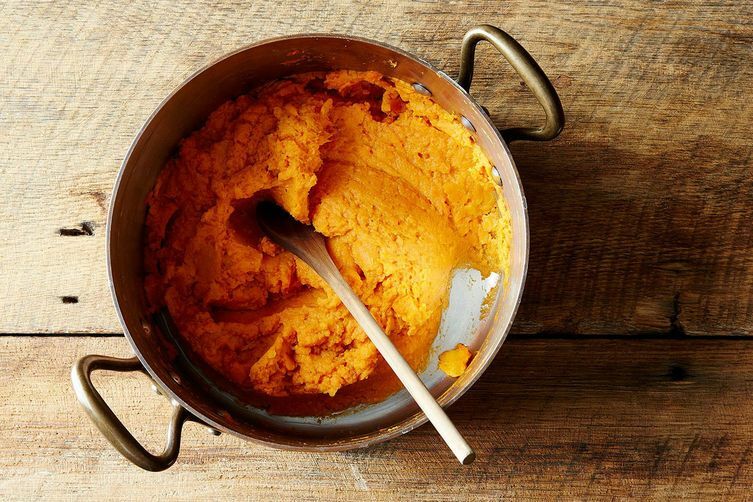 Peter says these mashed sweet potatoes are one of his favorite Food52 recipes of all time. 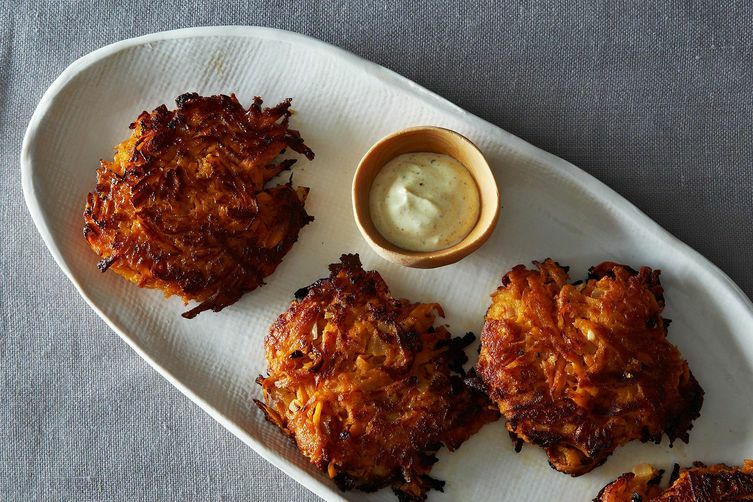 What's your favorite use for leftover sweet potatoes? Tell us in the comments or join the conversation over on the Hotline! Made 2 loaves last night. Great recipe for breakfast toast, french toast, etc. So easy to make. I just love this dough. Deborah Madison's sweet potato ginger muffins from Vegetarian Cooking for Everyone. I mash through a ricer then blend into soups or chili towards the end of cooking for texture and nutrition. Sweet potato kimchi salad! Roast diced sweet potatoes with olive oil, salt and pepper. Mix chopped kimchi with mayo or Greek yogurt, scallions and some gochugaru powder. Add puréed sweet potatoes to your pancake batter. Top your pancakes with a drizzle of honey and toasted pecans. Sweet potato ginger muffins from Deborah Madison's Vegetarian Cooking for Everyone! Candied and fresh ginger, just sweet enough and rich enough from the sweet potato (and a bit of butter, of course). I agree - adding it to oatmeal is delicious (so good as overnight oats!) and I love them in salads!